That's just me tossing some (semi-invisible) pizza dough. It got a little crazy as the meal started getting close so I didn't get to take any more pictures. Got some help last minute which was clutch, thanks babe! 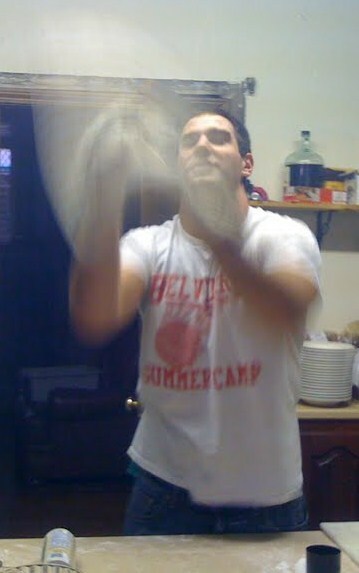 You look like you're casting a "Summon Pizza Dough" spell.